Students will travel to Africa to learn about international conservation and development in national parks and wildlife areas of Zambia and Botswana. This course will cover issues of livelihoods and sustainable development in Zambia and Botswana using the Livingstone region of the Zambezi as a model to explore the complex interactions between natural resources, local people, NGO’s, government agencies, tourism providers, resource managers and tourists. We will focus our discussions on livelihoods, conservation, livelihood change and nature-based tourism in the context of sustainable development. The Livingstone region is a unique area in that it is Zambia's tourist capital and enables us to begin by looking at areas of global significance that demonstrate global issues, and reduce in scale through national, regional, community, NGO and individual business scales. 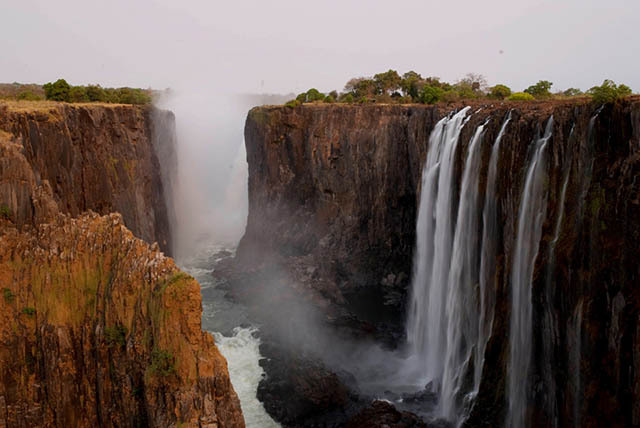 Zambia is endowed with numerous natural landscape features, including one of the seven natural wonders of the world, the Victoria Falls World Heritage site. The Victoria Falls lies on the Zambezi River, which is Africa's fourth largest river and Zambia's longest. The Livingstone area also contains unique cultural sites, as well as the Mosi-O-Tunya National Park, which is one of Zambia's 20 national parks. As a result of its unique natural landscape features, Livingstone appeals to both domestic and international tourists. The livelihoods in the area are heavily reliant on tourism. Over the years, Livingstone has been experiencing rapid tourism growth. This growth has been a major driver of development in Livingstone and this poses diverse impacts for nature-based tourism and sustainability. If you are registered as a full-time student (12 credits for undergraduate students and 12 credits for graduate students) in the spring semester 2020, the 6 credits of this course will already be included in the flat-rate tuition. If you are not at the flat rate, you will need to pay tuition for the additional credits. No summer tuition is required for this course. May 20 Arrive in Livingstone Zambia. Check into the Kaazmein Lodge; Meet our Zambian cohort; Driving tour of the city. May 22 Victoria Falls World Heritage Site.